View looking east on 3rd Street in Alma, Kansas. 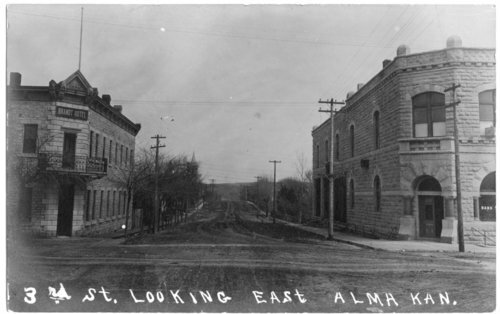 Around 1920, the streets were renamed and this became East 4th Street. The Brandt Hotel is visible on the left and to the right, in the Limerick Building, is the Bank of Alma.